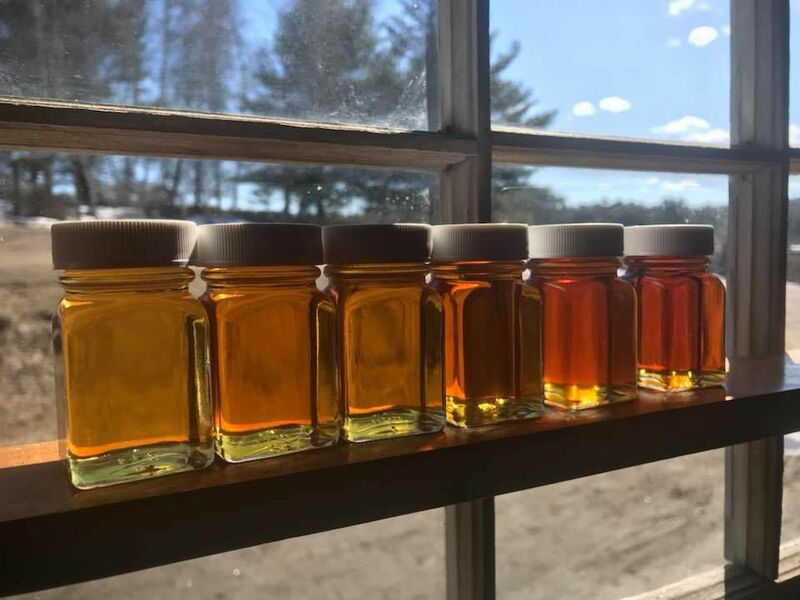 Harding Hill Farm in Sunapee will offer tours, maple sugar cookies and samples, plus their own grass-fed beef sliders – glazed with maple syrup – throughout Maple Weekend this Saturday and Sunday. Pictured is Tyler Webb, the third generation to maintain and manage Harding Hill Farm. Harding Hill Farm is ready to welcome visitors during Maple Weekend this Saturday and Sunday. In addition to making maple syrup, the farm processes firewood, raises a small herd of grass fed beef cattle and pasture-raised pigs, and harvests about 5,000 square bales of hay every year. Cooperative spirit: The Webb family works together on the farm, and they worked with a nearby farmer whose sugar house was damaged last year. Managing a farm and forest in a sustainable manner is a full-time job, one that the Webb family, owners of Harding Hill Farm in Sunapee, appreciate for its plethora of sweet rewards. One of the sweetest products, of course, is the bounty of high-quality maple syrup the farm produces each year. Tyler Webb, the third generation to oversee Harding Hill Farm, said he loves what he does each day, though you must be someone who appreciates being outdoors to be happy and successful doing it. Thankfully he is, and a favorite part of his work starts in February while out in the woods tapping maple trees and typically culminates in March when the sap starts to flow. Fun, but plenty of work. The farm has 1,300 taps to maintain, and Webb said it requires a lot of time out in the woods in order to be successful. His goal is to get 0.4 gallons out of each tap, with the help of a vacuum system that equalizes air pressure on the outside to match the pressure inside the tree. When done correctly, sap flows easier and requires less cooperation from mother nature in terms of weather. More is better when it comes to fulfilling increasing demands from customers at the farm. Last year, Webb said they made about 700 gallons of syrup in the sugar house, more than 540 from their own trees, and the remainder from sap they purchased from a nearby farmer whose sugar house was damaged by wind. Not a surprising philosophy, since working together seems to be something the Webb family has valued for the last 50 years. 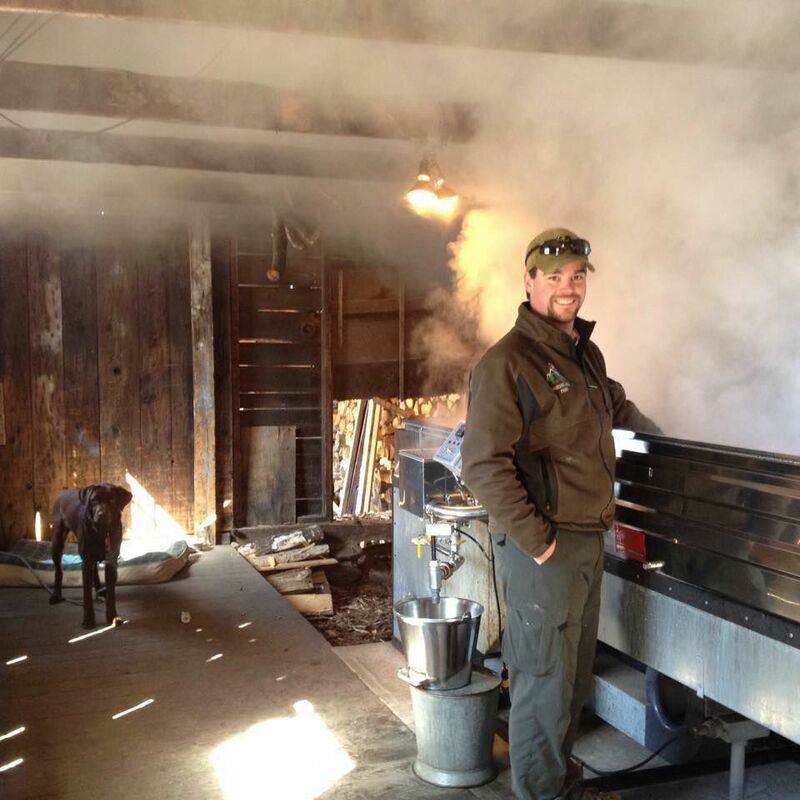 If you are interested in seeing the boiling process, the equipment it takes, and sampling delicious quality maple-based goodies as well as the farm’s own grass-fed beef, Harding Hill Farm will be open Maple Weekend on Saturday from 10 a.m. to 4 p.m., and Sunday from 11 a.m. to 4 p.m. The sugarhouse is located at 131 Route 103 in Sunapee just below Wendell Vet Clinic. 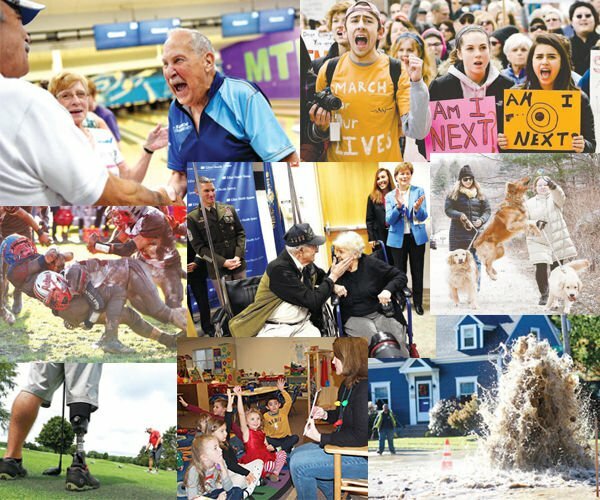 For more information, visit www.hardinghillfarmnh.com com.